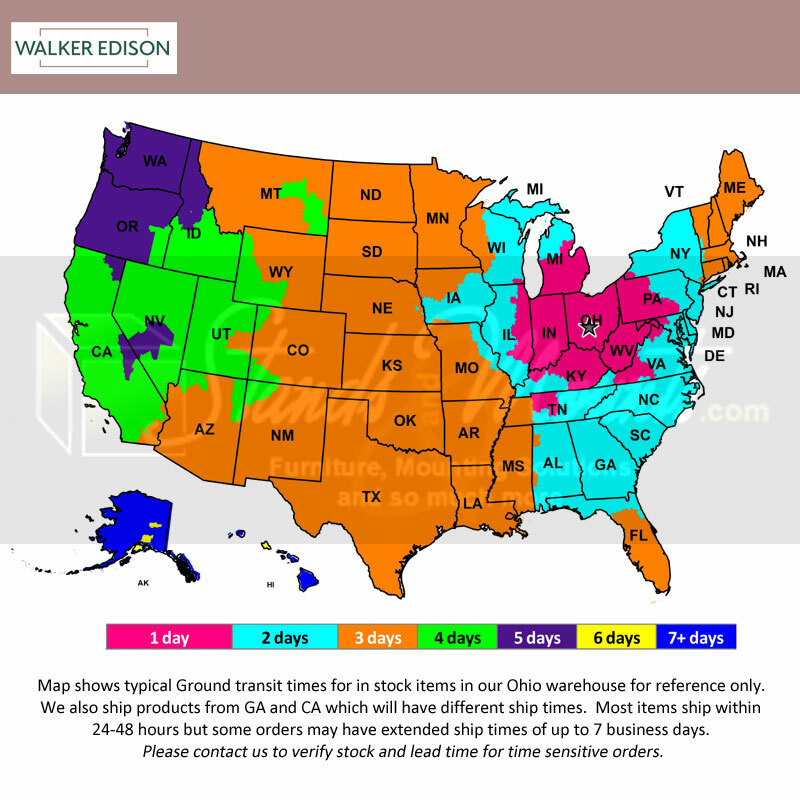 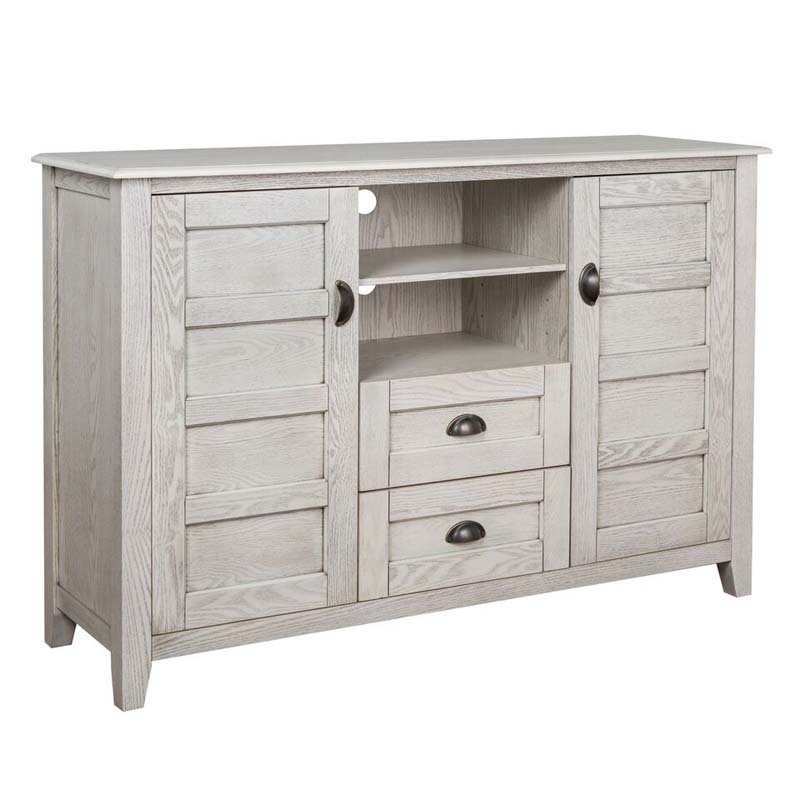 More on the Walker Edison Angelo:Home Rustic Chic 55 inch TV Cabinet (White Wash) AH52CRCWW below. 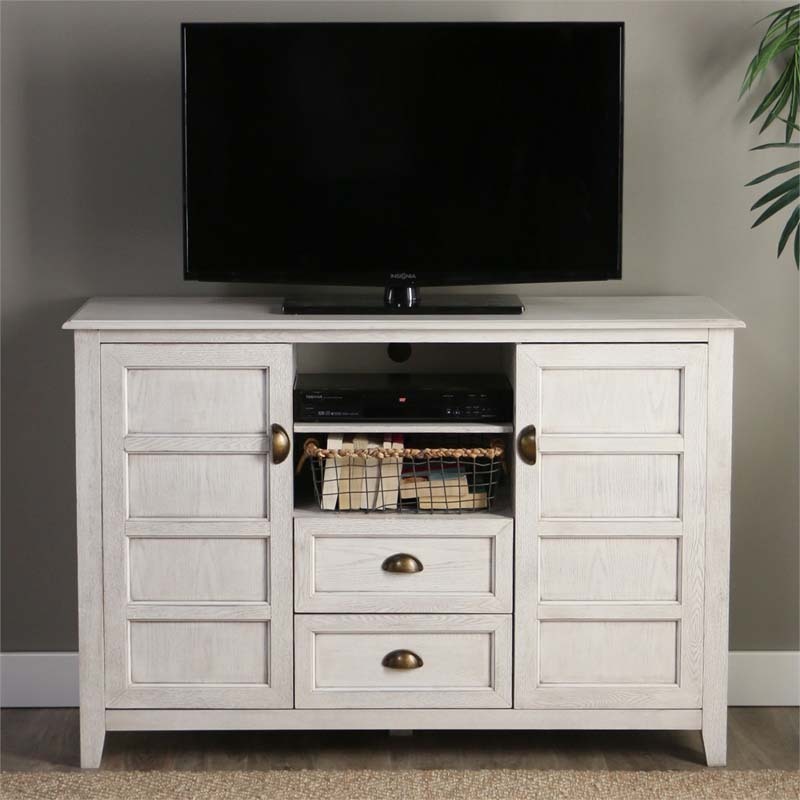 Your living room, entertainment room, or even dining room can look even more stylish with this angelo:HOME apothecary TV Stand Console. This piece of furniture offers ample storage for your media components, gaming devices and other electronic accessories. 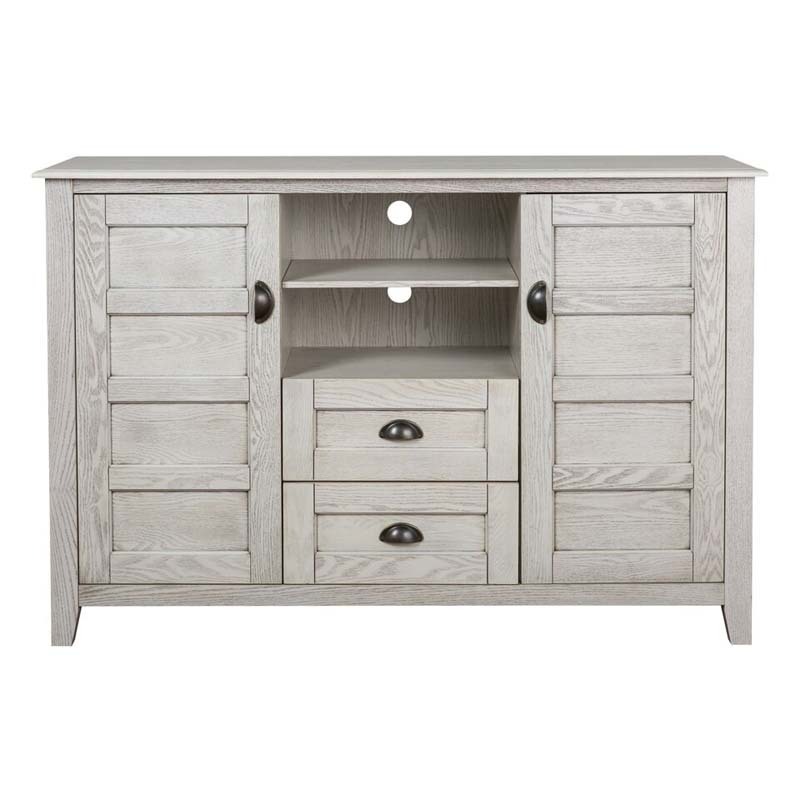 It can also double as a buffet with storage for your glasses and barware. 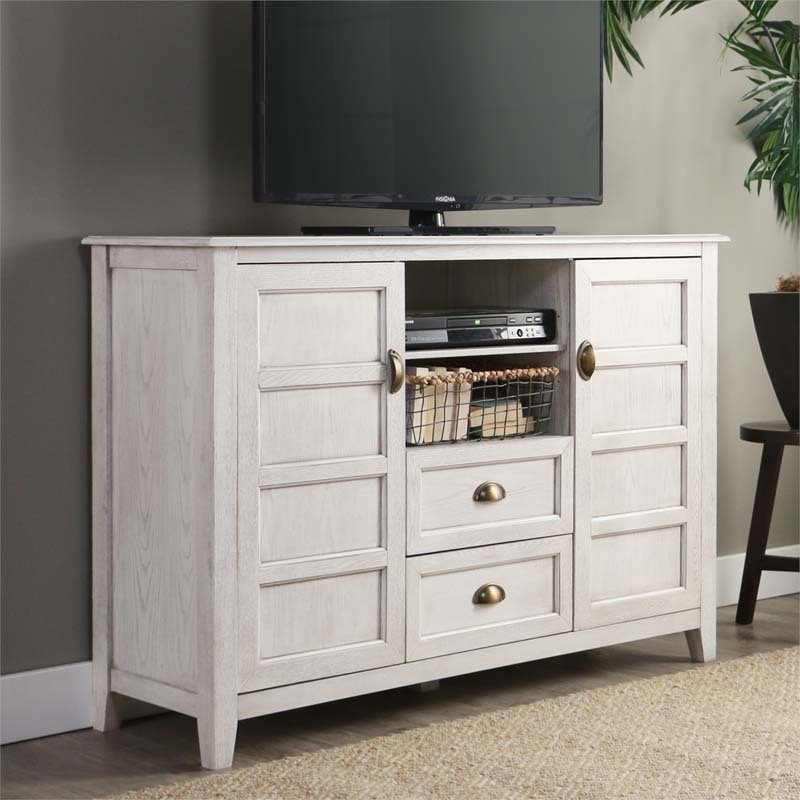 Crafted from durable manufactured wood, this flat panel TV stand is designed for TVs up to 55 inches wide. 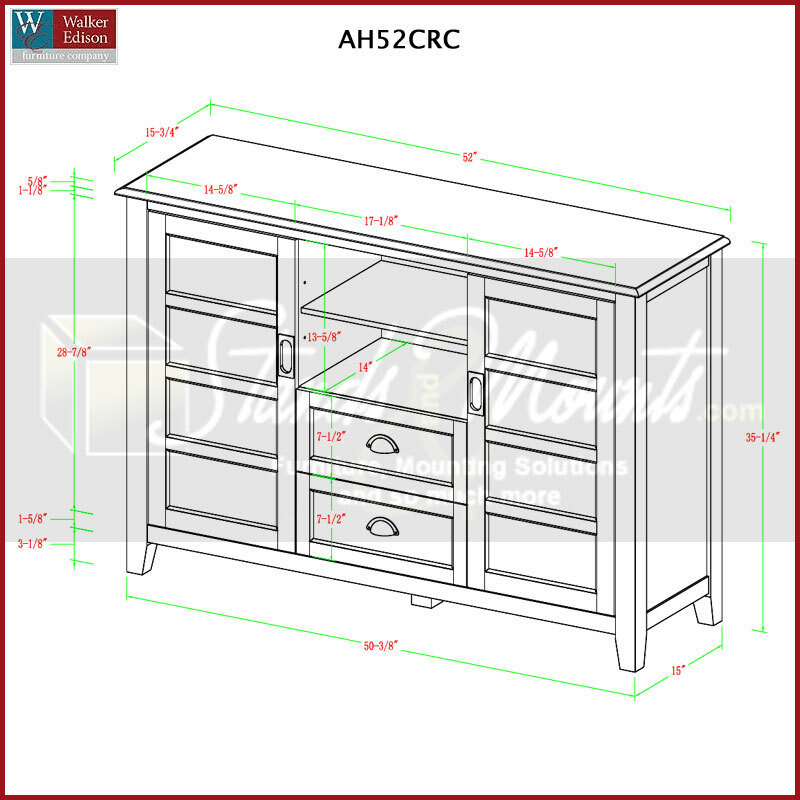 The versatile design features two large drawers, two side cabinets and an open shelving system with a cable management function at the back.